75 - WTiF You Could See EARTH RISE... With Your Own Eyes? by What The If? Happy New Year, dear IFFers!!! A joyous episode greets you. Celebrating the 50th Anniversary of Astronaut William Anders' society transforming photograph, "Earthrise," and basking in the glow of Richard Branson's Virgin Galactic breakthrough towards bringing passengers into space... Philip wonders WTF is wrong with all these people on the plane who close their windowshades??? Meanwhile, on the skin of the Earth, the view of the skies is disappearing drastically, night after night. WTiF we could ALL see the sky as clear as the ancient astronomers, philsophers, and peasant folk saw the thick sparkling tapestry of the night sky? WTiF we could really see the STARS? Join us on our journey into a hopeful future... or not. It's New Years around the Earth… but how long will we know that it's a PLANET? Let's fly and take a look before the sky blindfolds us forever! WTiF... Clear Skies Forever? Can we do it??? What happens if we don't??? 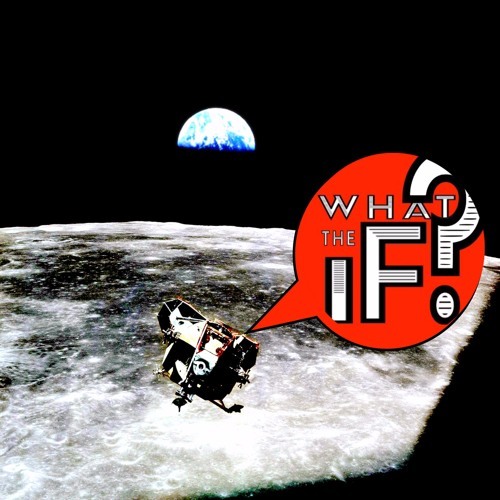 Download 75 - WTiF You Could See EARTH RISE... With Your Own Eyes? Users who like 75 - WTiF You Could See EARTH RISE... With Your Own Eyes? Users who reposted 75 - WTiF You Could See EARTH RISE... With Your Own Eyes? Playlists containing 75 - WTiF You Could See EARTH RISE... With Your Own Eyes? More tracks like 75 - WTiF You Could See EARTH RISE... With Your Own Eyes?